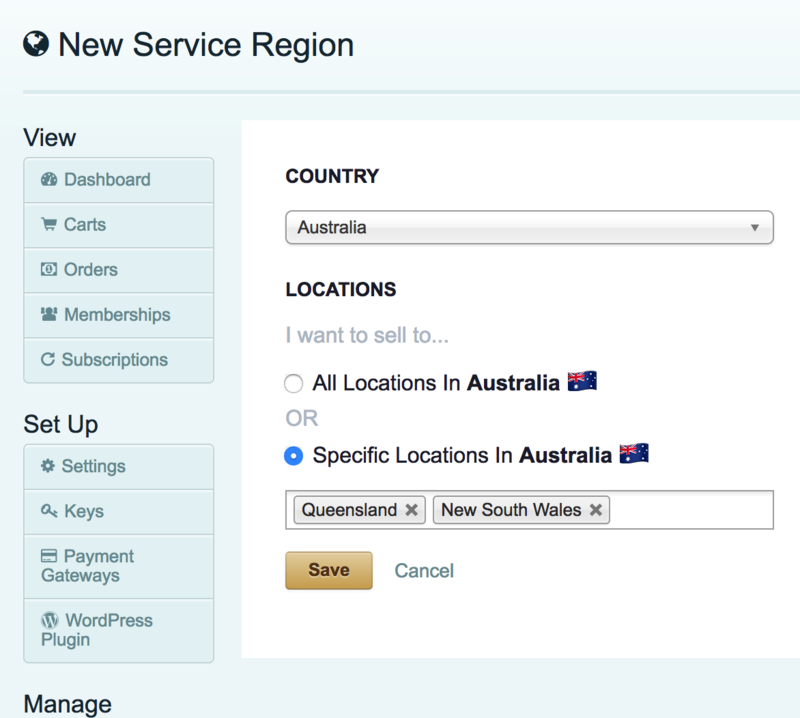 To enable the Service Regions feature, first, click on the Service Regions option in the left menu. Then you'll see a button to enable this feature. You'll notice that, by default, we automatically add all of the United States as your first service region. This will allow any customers living anywhere in the US to purchase from your store. To add a new service region, click the Add New Service Region link, which will take you to a form to select the country and location(s) within that country that you want to support. Once you select a country, the options for choosing either all or specific locations within that country are shown. By default, it will include all locations inside of that country. If you'd like to only support specific locations inside of a given country, you can the Specific Locations option and enter one or more locations. Note, we have a couple buttons to quickly add some of the common regions with a single click. The way all of this affects your checkout page is that the country list will be filtered based on which service regions you have configured for your store. 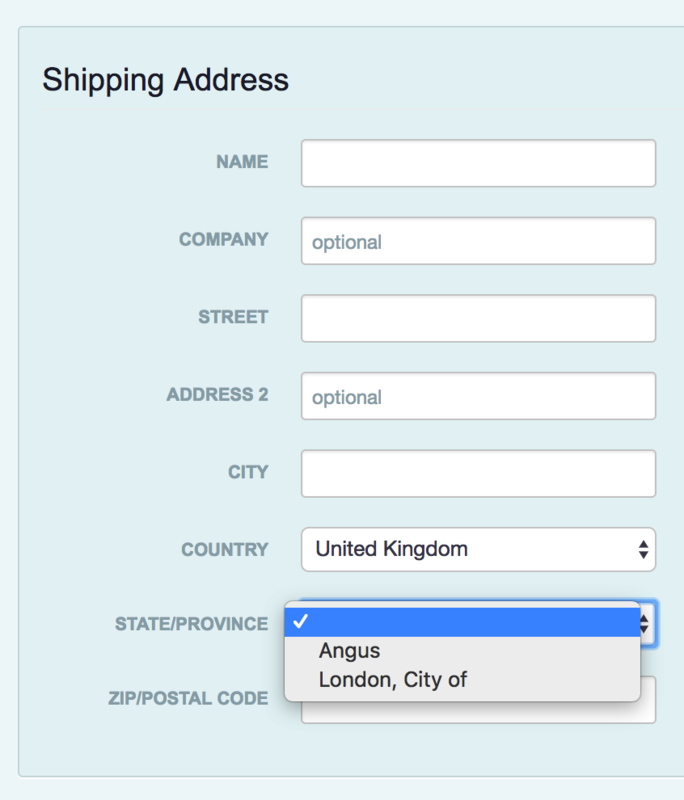 How does this affect me if I've configured my Cart66 account with flat-rate shipping regions and rates? If you enable Service Regions, this will override the flat-rate shipping regions as it pertains to what is shown on the checkout page. 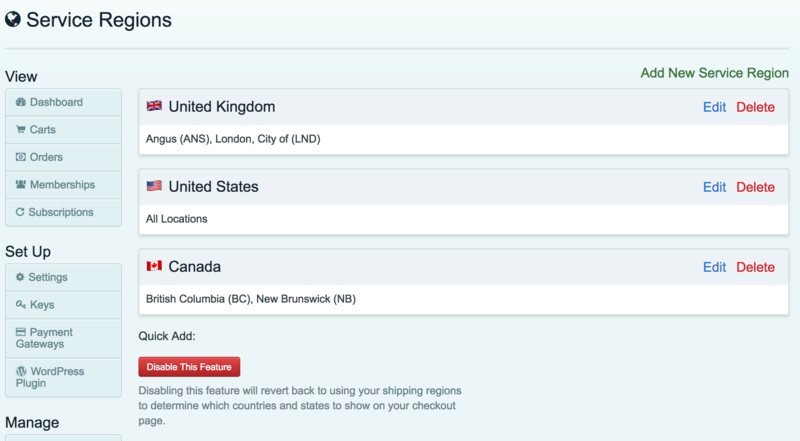 Previously, the flat-rate shipping regions were the only way to customize the list of countries and states shown on the checkout page, but now, if you have Service Regions enabled, it will use these settings instead. However, if you leave Service Regions disabled, it will continue using your flat-rate shipping regions on your checkout page just like always. How does this work if I'm using real-time shipping rates? 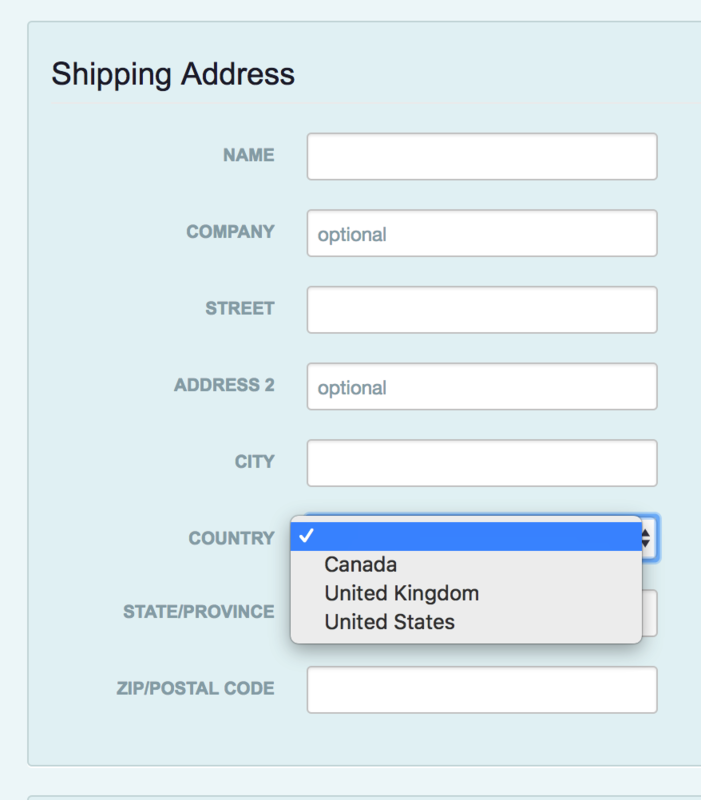 Up until now, we haven't provided a way to customize the list of countries/states on the checkout page when using real-time shipping rates, and we've just made all countries and states available on your checkout page. 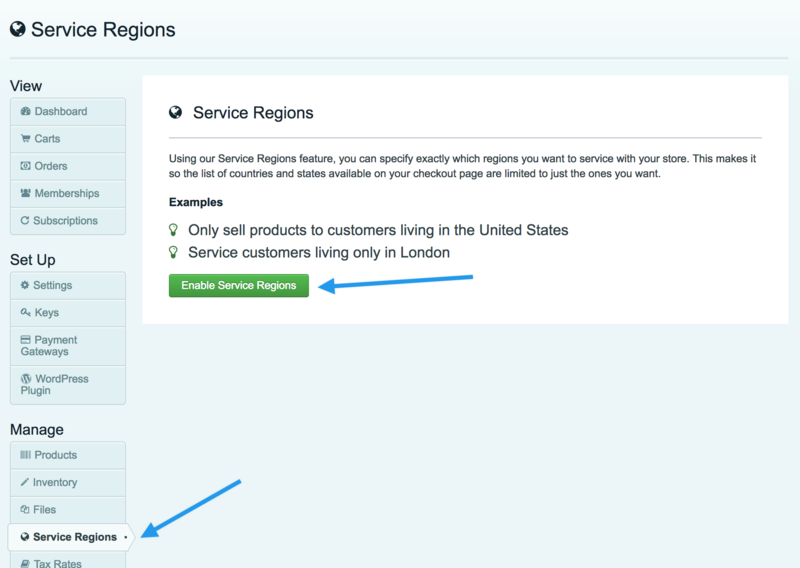 Now, if you enable Service Regions, it will use that configuration for your checkout page, giving you more fine-grained control over the locations to which you'd like to ship, even when using real-time shipping. Is this only for people who ship products? No! These service regions can be used to customize which locations you want to service for reasons other than shipping products as well. For example, if you have a local beauty salon in the state of Rhode Island and you want to have people purchase services that can only be done in-house at your place of business, you could add the United States as the country and just Rhode Island as the specific location.